Severity Design is a company dedicated to providing the sports world with professional, user-friendly websites and promotion management. Severity Design offers athletes of all ages – amateur and professional, complete website design, development, and management packages. It is our goal to provide an excellent interactive, informational and entertaining resource for the site visitor while maintaining the content, marketing and revenue generation necessary for a successful sports-related website. 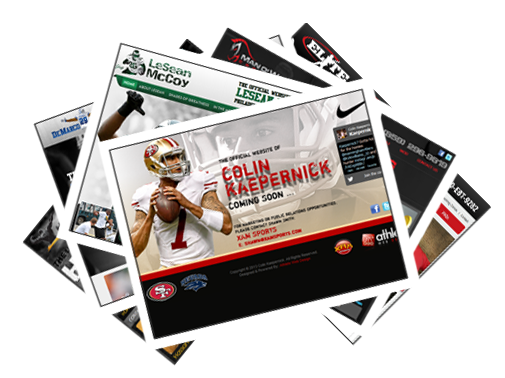 As a sports organization, you need an aesthetically appealing website that captures the attention of your visitors. Generic template sites just don’t work. Your team name is your brand and you need something custom that will attract fans and in turn generate money for your organization or club. Contact Severity Design today to find out what packages we can provide you with. It’s no obligation so what are you waiting for?